The trials for the Isle of Man Under 10 squad took place on Sunday 23rd September at the NSC. The trials were based around skills and fitness with 20 players taking part who were nominated by their clubs. The trials for the Isle of Man Under 10 squad took place on Saturday 17th September 2017. 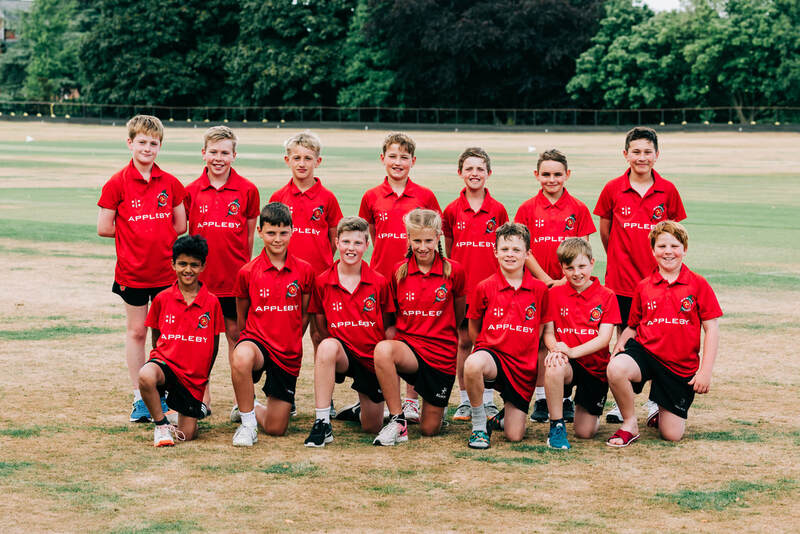 The move to start an under 10 performance age group falls in line with English counties and is acknowledged as being a 'good age' to look to develop the next generation of performance cricketers. The trials were based around skills and fitness with 22 children taking part who were nominated by their clubs. After the trial Sally Green the coach for next years under 10 squad said " there were some tough decisions to make as the players showed good skill levels in particular the batting and fielding. I am looking forward to working with the squad this winter and seeing if we can emulate the same success we had with the group who are moving to Under 12's next year. I am confident if the players put the same effort in as that group we will be in a position to compete against the English counties in next years festivals which is our aim". Captain Lucy Barnett won the toss and chose to field first. The first break through came with Joel Williams leg spin (3 overs, 2 wickets for 25 runs) removing both openers. Some tidy overs in the middle by Kyle Gunnion (4 overs 1 maiden 9 runs) and Will Wiseman (4 overs 1 wicket for 16 runs) kept the runs down. But the Cardiff number 3 pushed the score on until the opening bowlers came back to pick up 3 wickets each Harry Deering (7 overs 2 maidens 3 wickets for 14 runs) and Ryder Spencer (7 overs 3 wickets for 23 runs). Cardiff finished 170 all out with 5 catches taken. In reply the U10s stuttered to 88 all out with Kyle Gunnion top scoring with 19 not out. Lucy lost the toss and was asked to bat. Against some accurate bowling the U10s struggled to 48 all out. Thanks largely to a 25 run 10th wicket partnership between Harry Deering (22) and Ciaran Dougherty (2 not out). The U10s bowled and fielded valiantly but just hadn’t scored enough runs and Huntingdonshire knocked it off for 5 with Ryder (4 overs 2 wickets for 12 runs), Kyle Gunnion (3 overs 1 wicket for 10 runs) and Will Wiseman (3 overs 1 wicket for 16 runs). With the game finishing earlier than expected a T20 was played. Huntingdonshire batted first and consistent line and lengths by all the bowlers restricted them to 108 for 7. Wickets were taken by Kyle Gunnion (4 overs 2 wickets for 12 runs), Oli Poole-Wilson (4 overs 1 wicket for 18 runs), Ciaran Dougherty (3 overs 2 wickets for 19 runs) and Joel Williams (4 overs 1 wicket for 28 runs). In a complete turn around the U10s batted excellently to knock it off in 14.2 overs with Joel Williams making a quick 28 to get us off to a fast start. Followed by Ben Leinwand a brisk 23 and the innings was held together by Lucy Barnett not out 30. Lucy again lost the toss and was asked to bat. A positive start saw a 37 opening partnership with Cameron Roome out first for a fluent 27. The score then stuttered along with Lucy looking for someone to stay with her and this was number 10 Will Wiseman who scored 17 and put on 40 for the 10th wicket. The U10s were all out for 138 with 1 over to go with Lucy Barnett a magnificent 55 not out. Thanks to Robyn Ackron Photography for the great photographs.